Well it’s been about a dogs age since I last posted anything here. I doubt anyone noticed, but suddenly I got a burr in my sock. I guess I should say that this started with 3 things. 1) A very expensive diet where the people are not in possession of any magic, but did take my money happily. 2) Listening to someone’s Blog turned Book which is called something like”A Year With No Sugar”. 3) The listening of that book led to the watching of Dr. Lustig’s UCLA talk about the woes of sugar and how addicted we are. A little reflection time helped me put some things in order and decide that my son needs better snacks. He deserves that. He deserves my time. Heck, I deserve it too. Where to start though, it’s always that. The starting. 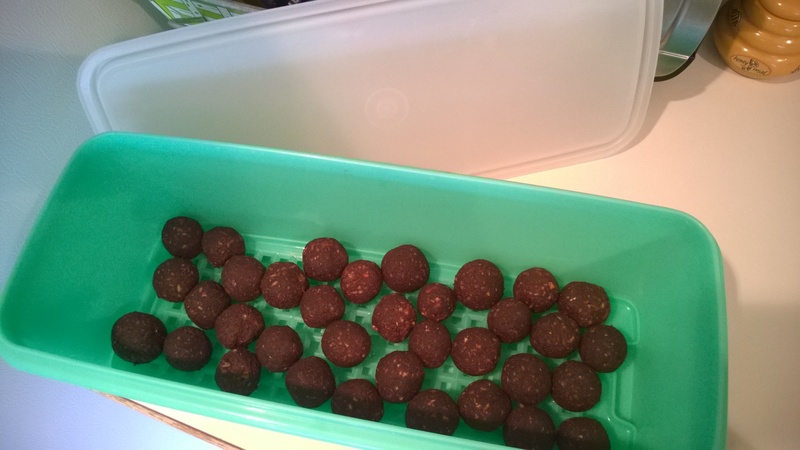 I decided to find something without sugar in the recipe which would be tasty to him and also provide a power up for me during endurance type exercises. Seems like a win win. After some browsing on the internet and perusing the ingredients cupboard here’s what we get for our first power snack and I don’t have to feel bad about my kid eating it. Added bonus, I don’t have to fear having it pass my lips. Yay! Someone posted a recipe for something called a Cocoa-Nut buddy. Great, a starting place for this hopefully delicious beginner snack. I made only a few adjustments due to what was available and my sons issues with texture. 🙂 Certain textures. Okay, heat up a skillet, keep it dry. 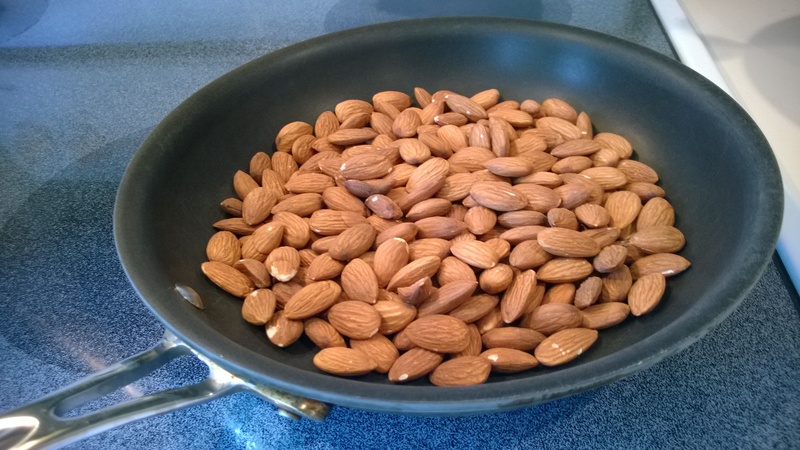 Add the raw almonds if that’s what you have and give them a light toasting. Be careful not to get past that really delicate line of roasted and charred. 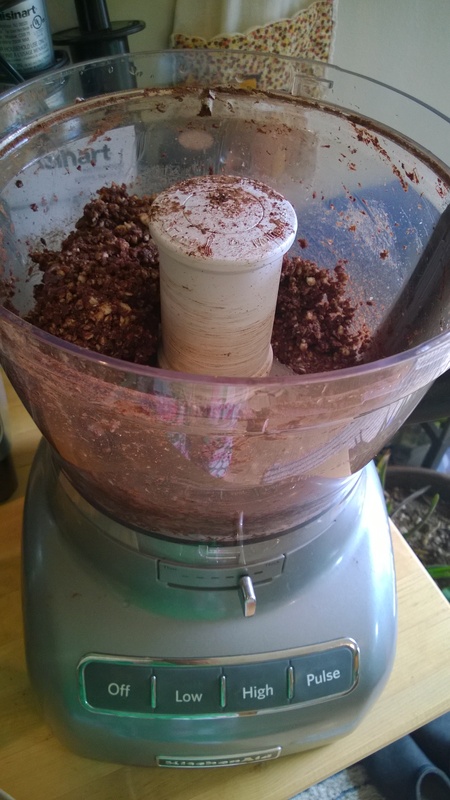 Put the almonds in a food processor (next time I will use my Vitamix), pulse or do your thing until the almonds are a nut butter or near to. 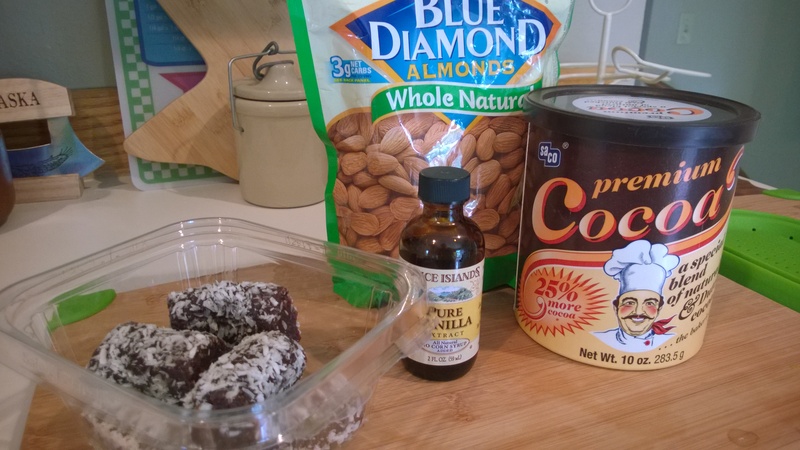 Put the almonds paste/meal into a food processor if it isn’t already in there and then add the rest of the ingredients. Set out some wax paper and roll the “dough” into one inch balls. Let them air out for a bit, drying up ever so slightly. Store in an airtight container for up to a week in the refrigerator. Optional: dust lightly with more unsweetened cocoa powder or sinfully if you are so inclined you can dust with powdered sugar, but I swear they don’t need it. I hope you make these.. they are super easy. 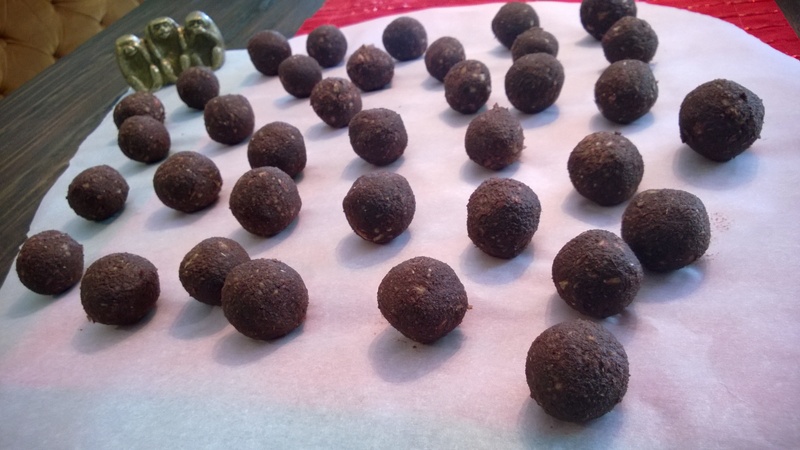 If you can’t find Coconut Date Treats, just get some pitted dates (about 3/4 cup full) and some unsweetened shredded coconut (you can also leave out the coconut entirely). If you do make these, or if you improve upon them, please write back here. As much as I love these for on the go snacks, I also love them to curb a sweet tooth. 🙂 Very pleasing!